1. Give it a fresh coat! Whether it be the interior or exterior, outdated & faded paint can age your house by years! 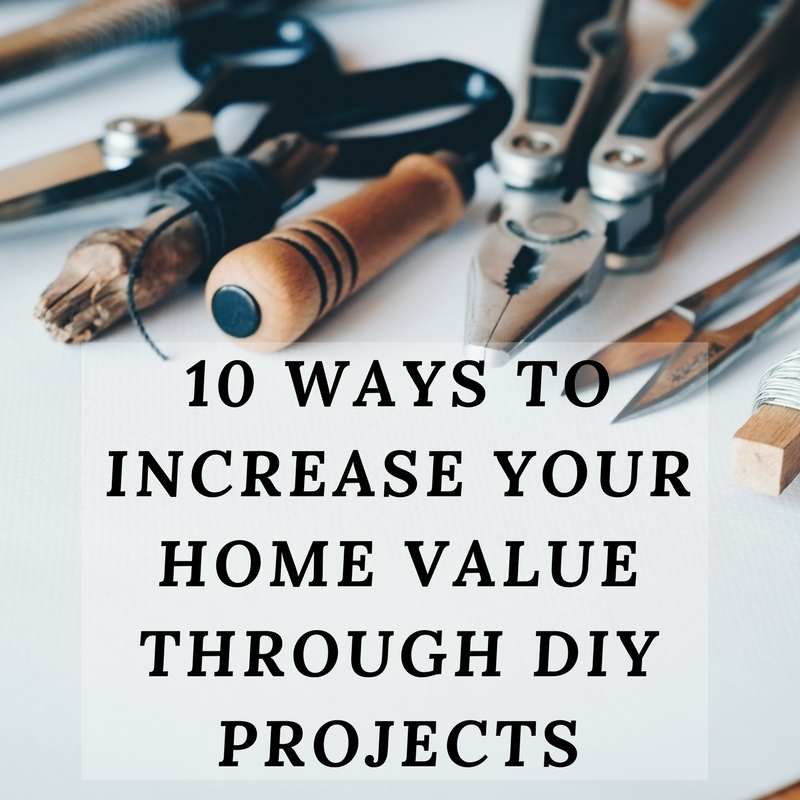 This cost-effective improvement will make your home look clean and updated. When choosing paint colors, keep in mind that neutrals are most appealing to the majority of buyers. 2. Scrape those popcorn ceilings. Nothing says outdated quite like a popcorn ceiling. Removing it is fairly simple to tackle yourself and immediately makes your home more appealing. 3. Tidy up your landscaping. Overgrown or dying landscaping will hurt your curb appeal. Head to your local home & garden store to pick up some low cost plants & flowers to give your yard a fresh look. 4. Give your bathroom a low cost update. If you can’t afford a full remodel, small changes like replacing fixtures and lighting will make the space feel updated. 5. Replace worn carpets & rugs. An immediate turn off to buyers is the thought of having to replace all of the flooring in the home. Sticking to a light, neutral color will help keep the home light & bright. 6. Organize! A clean, clutter-free home will immediately look larger and more appealing to a buyer. Investing in some low-cost storage options will help you get move-ready as well. 7. Update your entry. Adding a fresh coat of paint to your front door and some potted plants tells visitors that the inside of your home is welcoming and comfortable. 8. Add garage storage. A garage filled with belongings can look untidy and disorganized. Installing some wall racks and moving large boxes into temporary storage will create much more usable space. 9. Deep Clean. Hire professionals to give your home a deep clean & make it sparkle. Even if you clean regularly, you may miss or overlook certain sections. 10. Keep up with repairs. Walk around your home and take note of everything that looks broken or in need of a repair. Fixing these before showing your home will eliminate a negative first impression.